Band Parent Meeting This Week! The Woodland Hills Band Parent Organization will hold its monthly meeting on Wednesday, April 5 at 7:00 PM in the Intermediate School cafeteria. Topics will include officer elections for the 2017-2018 school year. Anyone BPO member can run. We hope you have found the new newsletters interesting and informative. To make sure you get the information you need, please take a moment and complete our survey. 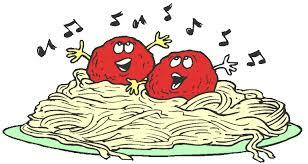 Thank you for your great response to the spaghetti dinner. We are still in need of bagged salad and volunteers including adult and student servers, clean up and tickets. Thanks for helping with one of our most popular fundraisers! Spaghetti Dinner posters! Download and share!